Matching wine and food is more about personal taste than anything else. However, certain wines can definitely complement and enrich the taste and flavour of a certain dish. At least that’s what wine experts claim. But very few people actually spend money on different wine types just to follow this ‘rule’. Most of us match our food with one white and one red wine variety. And when it comes to wine and food pairings, Cabernet Merlot is a wine that perfectly pairs with a wide variety of foods. This due to its position in the middle of the red wine spectrum. And because it features medium tannin and medium acidity, you will find that Cabernet Merlot pairs as good with grilled pork ribs as it does with grilled vegetables. Produced in France, Italy, Chile, USA and Australia, Cabernet Merlot is famous for its fruity, and easy drinking character. And that is also the reason why Cabernet Merlot pairs beautifully with many foods including, pork or veal roasts, pates, cheesy gratins and even hamburgers. Following is a table containing Cabernet Merlot wine and food pairing suggestions. Meats & Fish Grilled meats, stew, steak, leg of lamb, tuna and swordfish. Cheese & Nut Parmesan, Romano, aged chevre, chestnuts. Fruits & Vegetables Plums, endive, tomatoes, black beans, eggplant, and caramelized vegetables. Desserts Chocolate torte, dark chocolate sauce, berries, fondue. 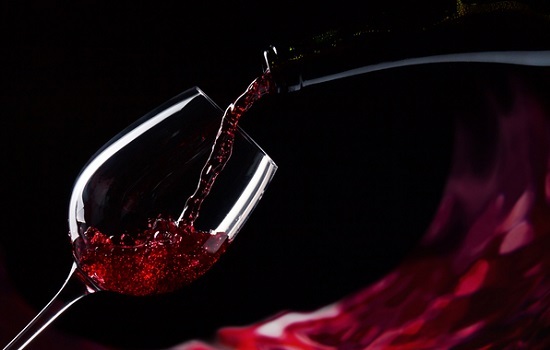 The main idea of wine and food pairing is to try to match the characteristics of both as closely as possible, including flavour, weight, acidity, saltines, sweetness and bitterness. And the foods provided in the table above perfectly go with Cabernet Merlot wines. Keep in mind that Cabernet Merlot wines do not pair well with leafy green vegetables or fish unless they are cooked in a certain way – braised, for example. Also, avoid spicy food. When it comes to buying wine, you can either purchase Cabernet Merlot wine online or in local stores. However, buying Cabernet Merlot wine online is your fastest way to finding the best quality wine at discounted prices. Do not bother yourself with local stores. None of them can compete with online retailers in terms of discounts. In addition, you can choose the country of origin, brand and compare prices in less time than you would prepare your morning coffee, and all from the comfort of your home.